Maritzburg United captain Kurt Lentjies will be out doing his utmost to help secure a Telkom Knockout win against Kaizer Chiefs on Saturday. The match takes place at the FNB Stadium, kick off scheduled for 20H15. The Team of Choice have a score - several scores, to settle with Amakhosi, who beat United 2-0 in a league encounter last month, while also inflicting a 5-3 defeat over the KZN side in last season's MTN8. 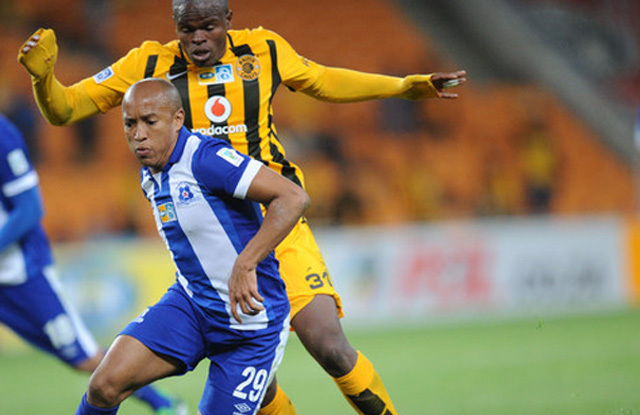 Last season’s two league encounters saw a 3-2 win for Chiefs in Joburg, the Pietermaritzburg game ending 1-1. The last time the Team of Choice got one over the Soweto giants was a 1-0 home win in March of 2015. So United will certainly feel they are due a change of fortunes as coach Ernst Middendorp looks to plot his former club's downfall in the Telkom Knockout. Chiefs though have just hit their best form in months and have won their last four games. Maritzburg are winless in their last five games, but did come away with a draw from their match away to Free State Stars last week. “It was good that we didn't lose on Saturday,” Lentjies told Soccer Laduma. “Obviously we wanted to win but a draw was not bad as well. Now we have to prepare for the weekend, where we are playing in a cup game. “You know there is only one result here and that's a win. We have to shift our focus and make sure that we are 100% ready for the game on Saturday. It's true we lost there in the league but, as I have said, this is a cup game and we need to advance to the next round,” he added. Midfielder Deolin Mekoa meanwhile feels that United could well have got more from their encounter with Chiefs last month. “I was really waiting to draw against Kaizer Chiefs because in the league it was something else. So with this game we just want to go out there and show them that we are capable of winning against them,” Mekoa told KickOff. “We didn’t deserve to lose that game because the way we started off that game. I mean 20 minutes into the game we were dominating after our goals were disallowed that is when everything just went down. So they owe us. “We give our all because when we talk we always have some targets. What we really target are the tournaments or cup games while in the league we challenge for a spot in the top 8 place. It is possible we can go all the way,” he added.